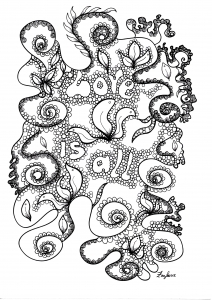 The credo of Zenfeerie, it's the Zentangles ! 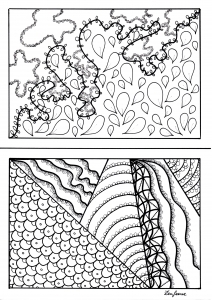 These drawings follow a method invented by two American illustrators in the last few years. 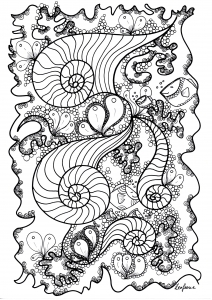 They consist of simple but repetitive drawings which together form abstract patterns. 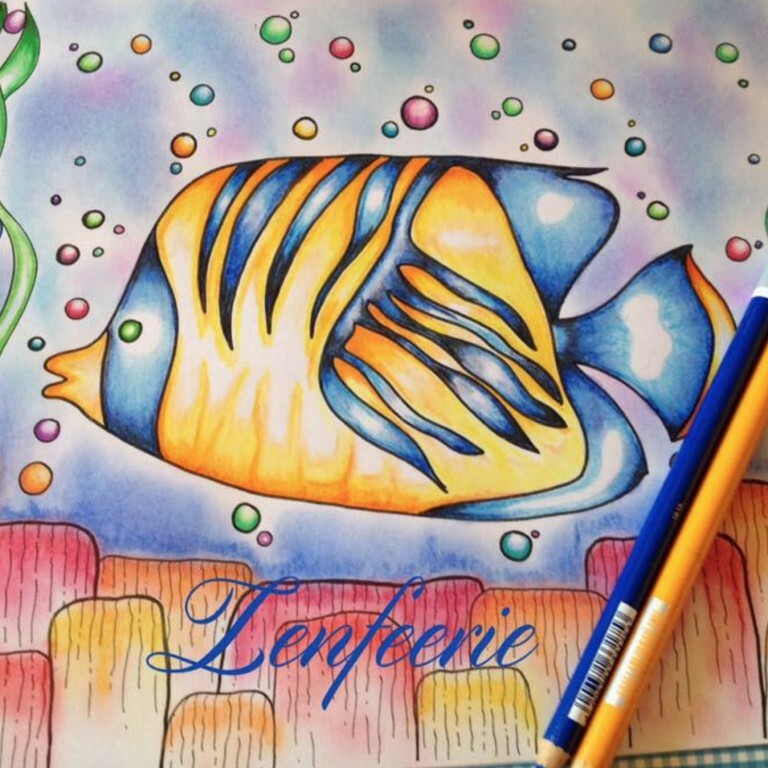 With Zenfeerie, you can even learn to create your own Zentangle drawings. 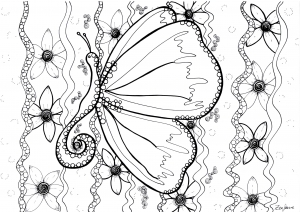 Simply visit their Facebook page, that in addition to showcase their many illustrations, provide free Zentangle tutorials and examples.